In communities across the country, people are passing bans and limits on fracking and defending their right to do so in court. This video by EarthJustice is an example of how one community in upstate New York State organized to ban hydraulic fracturing in their town. It features community members responsible for much of the organizing and 2014 Goldman Environmental Prize winner Helen Slottje. Helen provided pro-bono legal assistance to Ddryden to help residents pass a local ban on fracking. A move away from unsustainable projects and practices at the cost of communities and nature, and toward community decision-making. Communities with the opportunities to both say “no” to practices that would negatively impact their health and environment, and “yes” to those practices that would benefit them. Can the Concept be Applied to Illinois Coalfields? Eco-Justice Collaborative (EJC) was first introduced to this concept of taking back local control through community rights ordinances by National Bioneers. We are promoting community rights organizing in the coalfields of Illinois as one way communities can stop long wall and strip mining practices that clear-cut forests; destroy the land; and create toxic slurry that must be stored above ground or injected in mine voids, potentially polluting groundwater or surface waters. Coal Slurry Pond, Shay 1 Mine, Macoupin County Illinois. Illinois is fortunate to have an organizer from the Community Environmental Legal Defense Fund (CELDF) working to ban fracking in southern Illinois. She has agreed to to meet with interested communities being pressured by mining interests. Like EarthJustice, CELDF provides organizing and legal support free to frontline communities. Click for more information on CELDF and community rights organizing. Stay tuned for more information on community rights organizing in Illinois, including the upcoming June meeting in Champaign with Heartland Coalfield Alliance community representatives and organizational members. 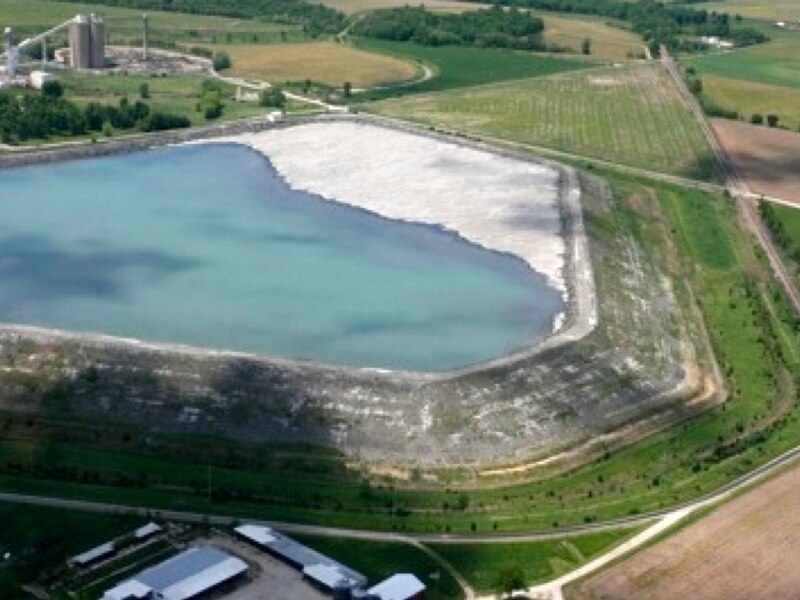 Coal Ash – In Your Back Yard?